Talbot Woods Lodge - Caring for tomorrow! 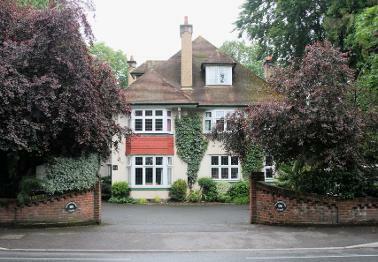 Talbot woods Lodge is a residential and respite care home and day service for adults with learning disabilities. We have 14 permanent bedrooms and 1 holiday (respite) bedroom. We have been a family run establishment for over 20 years and have never since opening used any agency members of staff. We have been acknowledged as a key provider in modern care practices and as a model for good practice often being used a show home for new members of local professional teams such as social workers. Over our many years of service we have been a product of our own success and the demand for our service has grown significantly in all aspects. Due to such a high demand for our services we have only had 5 short term vacancies for permanent placements since opening in 1997 and have run at full occupancy otherwise. We have also been acknowledged for our good practice with an award from www.carehomes.com as one of the top 20 care homes in the South West of England and the top care home for adults with learning disabilities in the South West of England. Advanced and specialist training is provided to all staff (including housekeepers & secretaries) from our own certified trainers as well as other networking organisations to allow them to deliver a high level of care to a range of specialist needs such as diabetes, epilepsy, dietary issues and challenging behaviour. It is our aim to support people in, making new friends and enjoying current friendships and relationships, to have a good community presence and do our part for our local community, to be active and healthy and to enjoy life in its full potential achieving our life goals. We network with many great local organisations such as The Special Olympics, Poole Forum, Bournemouth People First, Bournemouth Gateway Club, Caring Canines and many more!